After two testing away fixtures, Cov return home on Saturday to face opponents who have historically been something of a bogey team. Hartpury RFC make just their fourth visit to the BPA – but statistics tell their own tale. Simply put, there have been seven previous meetings between the clubs and Hartpury lead the series six-one. The Coventry squad plus the travelling band of supporters who made their way down to Gloucestershire in September will remember only too well the deep disappointment of a 17-23 defeat. Those present were left with a very strong feeling that the result was one that got away following a very poor performance in heavy rain. Hartpury’s win over Cov in round four was their second of the season, with the other coming on the opening day against Yorkshire Carnegie. But since then Saturday’s visitors have failed to find a third success in a sequence which has left them at the foot of the Greene King IPA Championship. The one Coventry win in this fixture came in Gloucestershire at the end of the clubs’ first meeting courtesy of an injury time penalty landed by Welshman Matt Jones while Cliffie Hodgson lay injured and receiving attention. Currently in the Hartpury squad, under director of rugby John Barnes is centre three-quarter Luke Eves, son of Derek, who had such a significant role with Cov back in the late 1990’s. Eves has missed a number of games recently through injury. 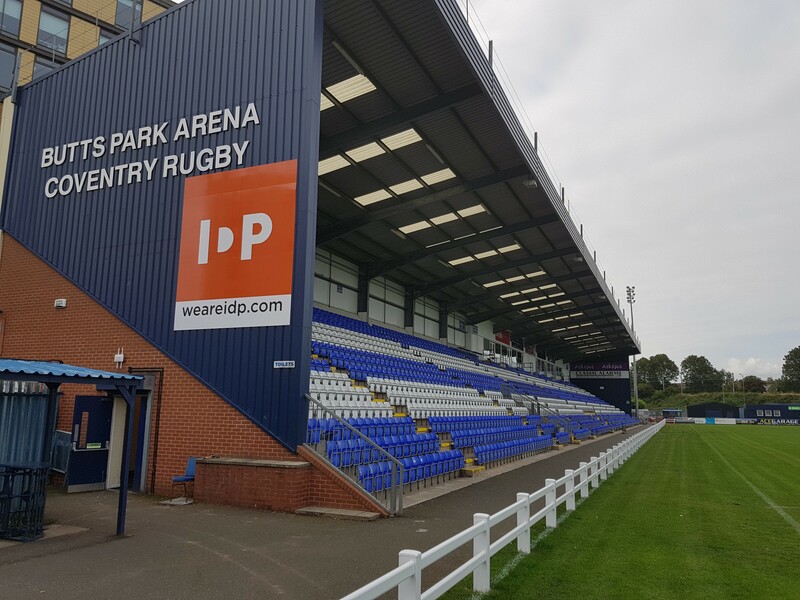 Cov go into this important match 19 league points ahead of their visitors, but following on from the incredible events at Bedford and a six-day turn-around from the cup defeat at London Irish, Saturday’s game will be far from easy. On top of the defeat at the Madejski Stadium came a number of injuries which leaves Cov’s coaching group and players with plenty of food for thought in the build up to this Saturday’s round 14 Championship clash which kicks off at 3pm. Posted in News and tagged Butts Park Arena, Coventry Rugby, greene king ipa championship, Hartpury RFC.